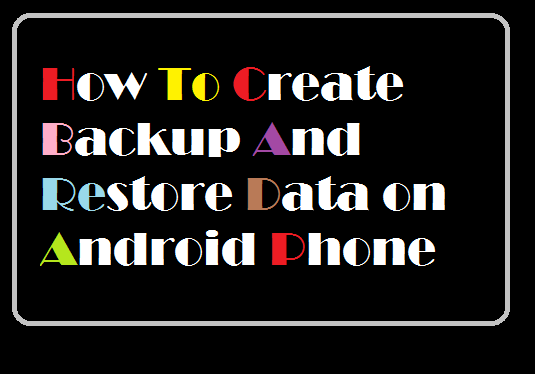 Home» Android » How to create backup and restore data on android phone? 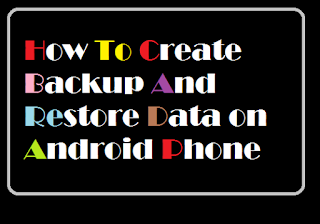 Hello Friends In this post of today you will know how to back up the data of Android phone? 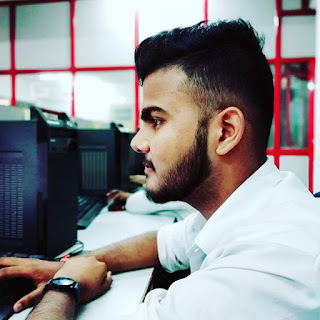 It is very important to keep a backup of our saved data in mobile, do not know when mobile gets spoiled or lost, at such a time There is a lot of trouble because of not having a back up. Many emergency numbers, messages, etc. are wasted. Come, let's backup your data in Android mobile. Nearly all Android phones have the option to make backups in advance. You can see this by going to Setting in Phone, it will have an option of Backup & Restore. Here you can make backups in Email Id or make backups in phone memory or external memory. You can also restore whenever you want. But today I will tell you about two such methods through which you can easily make backups. And if you want you can also backup your photos and videos. Both of these method are absolutely safe. Method1 : CM Backup is an app that saves online data. There is a need for internet to make backups in it. Back up made here You can restore any mobile and anytime. Step1; First of all you download CM Backup in your Android phone. Open after installation. Download link is given below. Step4; After some time processing, your Android phone will be backed up. (Remember that internet is necessary to make backups in it). Restoring data from CM Backup is very easy. Step1; First, log in to CM Backup with the ID you created backup. Step2; After that click on the left side corner option. And go to My Cloud. Step2; After opening, a new pop-up will come in which you will be asked Do You Want To Create Backup Now? You have to click on Yes. Step4; In the next window, you will be asked to save your backup file saying. This means that the location will be. Tap here on the SD card. You can also save backup files online, including Gmail, Dropbox, Google Drive and more. Step5; After selecting the location, a backup file name will be written, if you want to edit it, you can give it your name, then OK.
Step6; Now you will see a process page, when it is complete you have to tap OK.
Click on Apps Tool Tab to back up Apps. From here you can save all the apps on your phone in the APK file. If you use Rooted Android Phone, you can also back up your apps' data and settings. Step2; now then click in Restore, then select the file you want to restore. After that Ok, it will be restored. If you like this post please don't forget to share it with friends also please socialize it . thank you so much.